Chapter 13 is a more complicated form of bankruptcy than Chapter 7. It lasts longer, and the debtor must make payments for three to five years. However, for people in serious financial distress, it is usually better than fighting creditors one by one. It is more predictable and secure than debt consolidation plans, and it allows a debtor to include all their debt, unlike non-bankruptcy consolidations that only pay certain kinds of debts. In a Chapter 13, the debtor makes monthly payments to a bankruptcy trustee. The trustee splits the payments up among creditors according to a three to five year payment plan. Any debt that you cannot afford to pay by the end of the plan is discharged. Some debt is not discharged in bankruptcy, such as student loans, some back taxes, back child support, and spousal maintenance. In a Chapter 13, a debtor can include back mortgage payments and get caught up on a mortgage over five years. 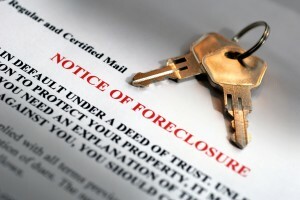 Many people save their homes from foreclosure with Chapter 13. A second mortgage can be removed from a home in Chapter 13 if the home’s value is lower than the balance of the first mortgage. Car loans can be repaid in a Chapter 13 plan. Car loans that are over two and half years (or all refinanced loans) can be “crammed down” in a Chapter 13. This allows the debtor to pay the loan at the value of the car and pennies on the dollar for any amount over that. Furniture, electronics, and appliance loans can be crammed down as well. Back taxes can be included in a Chapter 13 plan. Back child support or spousal maintenance can be included too. Driver's licenses can be reinstated by including back tickets in a repayment plan. These debts cannot be discharged in bankruptcy, but a Chapter 13 can consolidate them with the rest of the debt and give the debtor some breathing room. Debtors who are required to file Chapter 13 because they can’t pass the means test must pay their unsecured creditors a percentage based on the means test results. The means test looks back at the last six months' income and deducts monthly expenses from this average. What’s left must be paid though the plan to unsecured creditors. The means test deducts secured debt payments, such as mortgages, car loans, and back tax, spousal maintenance and child support payments, and this amount is already included in the total monthly payment. If the means test shows a payment that is unaffordable, the person can claim special circumstances and argue that this amount should be lowered. Examples of special circumstances could be an unusually strong six months of income leading up to bankruptcy, a sudden drop in income, or a new addition to the household. Find out if Chapter 13 bankruptcy is right for you by contacting the bankruptcy lawyers at the Law Offices of Jason S. Newcombe in Seattle, WA. If you are struggling with debt, we can help. Call us or request an appointment today.